In an effort to address increasingly extreme wildfire activity, Republican Sen. Pete Goicoechea and Democratic Assemblywoman Heidi Swank plan to empanel a working group to study the issue and recommend ways to fight runaway blazes. The idea for the working group came out of the interim Public Lands Committee, which Swank chaired. 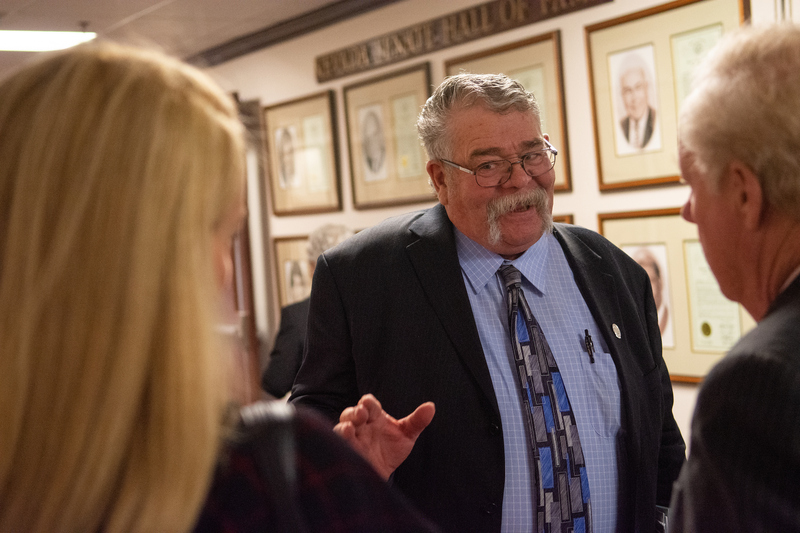 On Thursday, Swank said she and Goicoechea came up with the idea at “the many diners in rural Nevada that we had breakfast at” during the committee’s sessions last year. Swank said the focus of the working group will be finding ways to reduce fuel for wildfire and improve initial attacks on blazes. Separately, the committee also recommended a bill for an interim study after the Legislature meets this session. But the panel, which could include federal partners, will start the conversation now. The membership of the working group has not been finalized, but it will include Assembly Republican Robin Titus and Democrats Mike Sprinkle and Howard Watts; and Senate Republican Ira Hansen and Democrat Melanie Scheible. Swank said it could also include representatives from the congressional delegation and federal agencies. Across the West, fire managers have observed worsening wildfire behaviors driven in part by a changing climate regime, as a cycle of intense storms followed by drought conditions has left more dry brush on the range. 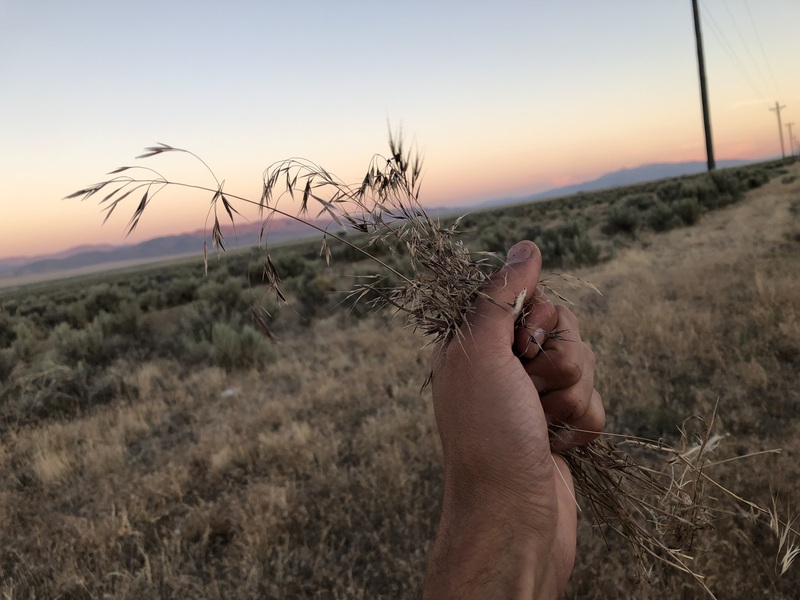 More destructive fires have also created prime conditions for invasive species, like highly-flammable cheatgrass, a hardy plant that overtakes sagebrush ecosystems. 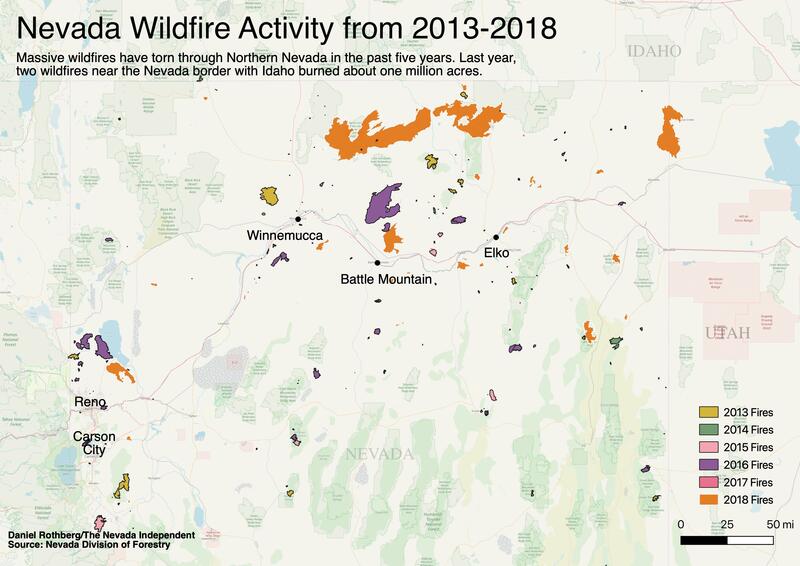 Last year, two fires alone — the Martin Fire and the Sugarloaf Fire — burned nearly one million acres of land in Northeast Nevada, destroying grazing areas, ranches and critical habitat that supports threatened species, wildlife and recreation. The year before was not any better. In 2017, 1.3 million acres burned, nearly two times the acreage of Rhode Island. The amount of acres burned has risen significantly since 2016, when about 200,000 acres burned. Two bad years in a row have left fire managers challenged in reseeding all of the burned areas. The difficulty is that most high-fire activity occurs in sparsely populated areas, Swank said. That means that even large blazes do not open up federal dollars earmarked for wildfire. “That’s part of the problem with the fires this year,” Swank said. But the primary aim of the working group is to focus on stemming fires early in their life cycle. Goicochea said he wants the working group to explore ways to enable individual ranchers to participate in fighting fires early by keeping fire kits and using slide-in pumpers. But he conceded that such solutions could hit another challenge: federal regulations. The federal government manages about 86 percent of the land, areas where most of the burns occur. 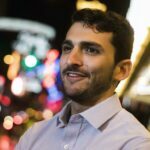 Both Swank and Goicochea said any solutions coming out of the working group would have to involve the federal government. Goicochea cited Oregon as a potential model for Nevada, arguing that the state gives more authority to local residents and rural fire districts. In the Great Basin, wildfire is the biggest threat to the Greater sage grouse, an imperiled bird that has come to symbolize tensions between conservation and development across the West. That has concerned state officials. The massive wildfires, by destroying sage grouse habitat, threaten the state’s conservation efforts, aimed in part at keeping the bird off of the Endangered Species Act list in 2020, an action that could harm rural economies. The conversation in the working group will likely also turn to how to reduce the dry brush and cheatgrass that fuel fires in Nevada. The state has programs to re-seed areas that have been burned and plant sagebrush. But cheatgrass is often difficult to replace because it grows so much more successfully in burned areas than other species. Some ranchers have pushed the federal government to change time and use restrictions on grazing so that cattle could eat more cheatgrass. But such proposals are controversial among environmentalists. They argue that cattle would only transport cheatgrass and that such a move would increase grazing and thereby increase the impacts of cattle grazing on the range. Goicochea said outcome-based grazing could solve some problems but it was not a panacea. He said in a year with high precipitation, such as this year, cheatgrass will be so predominant that it could not be eliminated by grazing alone. If the issue of fire is not addressed by lawmakers, Swank said the problem will only become worse as the impacts of climate change — and a drier West — increase. The most recent National Climate Assessment listed wildfires as one of the biggest issues facing the region. “With climate change, we need to be talking about this yesterday,” she said.